1703 W Jetton Avenue, Tampa, FL.| MLS# U8034883 | Westchase Real Estate - Westchase FL Homes For Sale - Westchase Local Experts. 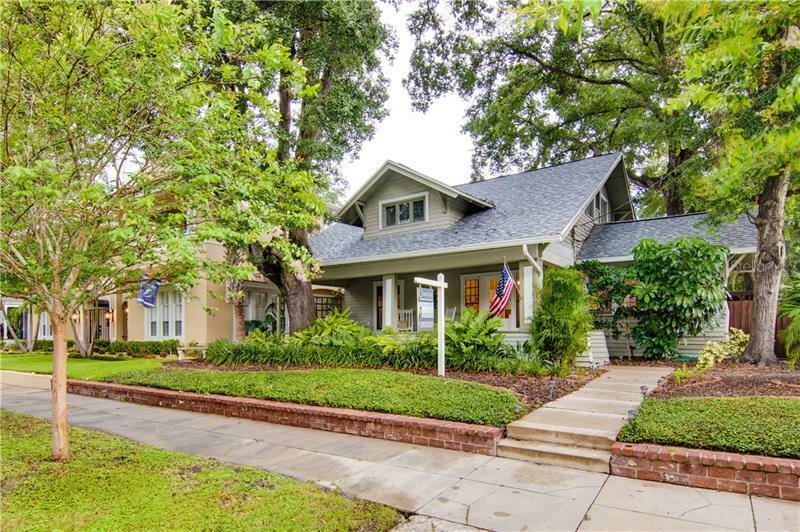 HISTORIC WEST HYDE PARK VILLAGE REMODELED BUNGALOW, steps from Bayshore Blvd. This picture perfect, beautifully renovated, home features 3 bedrooms, 3 baths, an office, a den/4th bedroom/bonus room and detached 1 car garage sitting on an oversized 125ft x 60ft lot. You will be absolutely delighted as you enter this historic residence, strolling through the well maintained yard onto your inviting conversational front porch with swing into your stunning front foyer. A light and bright interior, from the multitude of windows showcasing this home's vintage charm, but with all of the required modern amenities. From the beautiful hardwood floors, a gorgeous fireplace, winding stair case, you will also find an updated kitchen, with beautiful cabinets and granite countertops, built in breakfast nook seating, and a spacious master en-suite featuring newly renovated walk in closets, closed off doorway for upstairs privacy, and cozy custom seating area to sit and gaze out your dormer window to the front yard. Outside a custom deck & pergola equipped with updated electric, fan, and cable connection is the perfect spot for entertaining family and friends surrounded by lush landscaping. An alley way entry to your detached garage offers a nice convenience. Pets are welcome with your custom built dog run. With its close proximity to HYDE PARK VILLAGE, Kate Jackson Park, and downtown Tampa, local restaurants, movie theatres, and retail shops make this the walkable lifestyle you've been searching for!